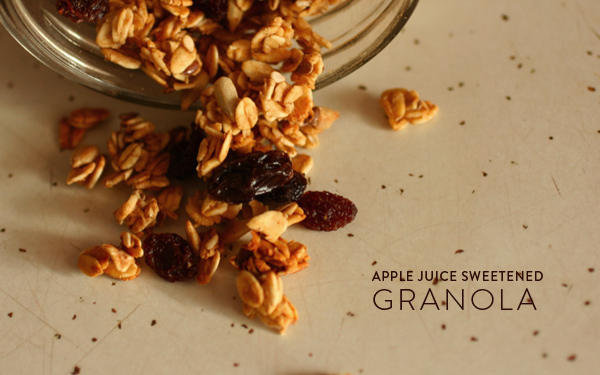 I've never made granola sweetened with apple juice, will have to give that a try! I make granola all the time, so I need a new recipe to give some variety. This looks great! adrienne! i just discovered your blog and i loovveee it. i went to unc chapel hill and adore the south! 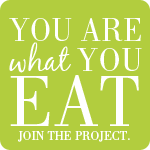 and this blog has great recipes and healthy eats ideas! so excited to read more! I love home-made granola. This sounds so tasty! Thanks for all your comments :) Hope you enjoy! I am SO happy I found your blog because it has given me the push to eat more naturally, which I forever crave but always have excuses for ( time, money, etc). I already made the granola and the edamame spread, so so so delicious and easy. Thank you for sharing all that you learn. Thank you all for the kind comments! I hope you enjoy this granola. 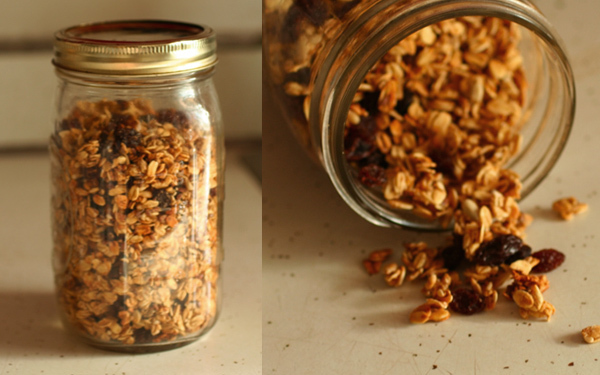 This granola recipe is tried and tested, I bring with me all my camping trips. it is also a huge and delicious breakfast. The only ingredient in this recipe is the oatmeal, all ingredients can be substituted. I use to eat so many granola bars. I loved the chocolate chip ones. You might have heard this many times- an apple a day keeps the doctor away. This is completely true. If you want to stay healthy and fit throughout your life, start to drink apple juice. The best thing is that recently I have read some best apple juice recipe that are simple as well as beneficial. Try this and get a healthy body.